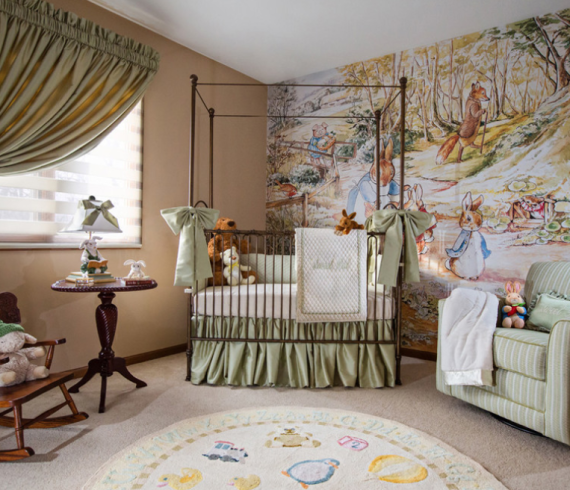 Decorating your nursery — especially for your first child — might be the most personal home decor project you take on. You’re building a nest to protect and soothe the little one you’ve been dreaming of, so of course you’ll want to create the coziest, most peaceful environment possible. But you may also want the room to grow along with your child. That’s why I love the idea of a nursery accent wall. It creates a cheerful, soft focal point and provides an anchor wall for a big-kid bed in a few years. And if your little one outgrows the design, you have to change only one wall, which cuts down on project time and expense.